Human skeleton laying in bed under covers. Skull on white pillow. Frequent use of smartphone. Modern technology and consequence. 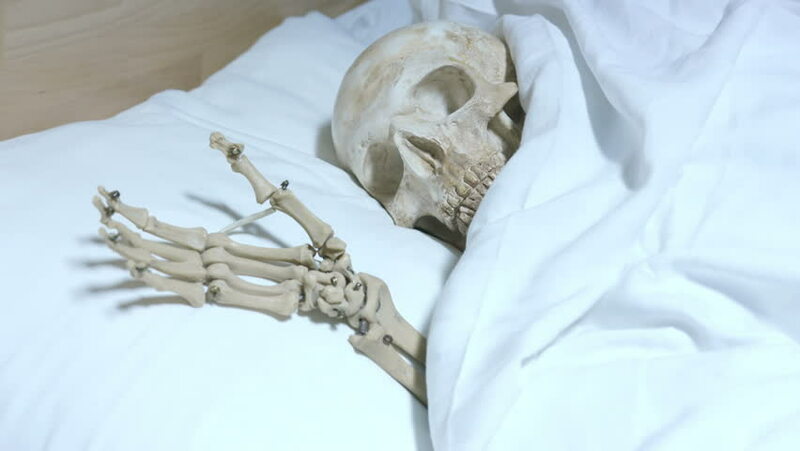 4k00:11Skeleton laying in bed under covers in bedroom of apartment. Surprise for girlfriend. Joke. Indoors. Home. Lifestyle. hd00:08Dog in narcosis during the surgery at pet clinic. hd00:16Doctor performs endoscopic surgery removing a brain tumor. hd00:07Doctor performs endoscopic surgery removing a brain tumor.